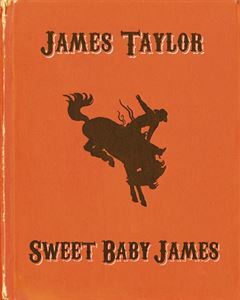 One of the great classics of James Taylor's repertoire is undoubtedly "Sweet Baby James" from the album of the same name. The singer originally wrote the song for his brother Alex's son who had been named after the singer. Taylor told Rolling Stone "It starts as a lullaby, then the second half of the song, ‘the turnpike from Stockbridge to Boston…’, talks about what music means to me. It gets pretty spiritual by the end. I think it’s my best song." Now Taylor, through Penguin Publishing, has made a ten page pop-up book for children that depicts the lyrics to the song in a series of scenes. The book is available, for now, exclusively through his website.